Sitting in Starbucks, drinking a tall coffee with cold soy, and enjoying CANNERY ROW is a piece of heaven for me. 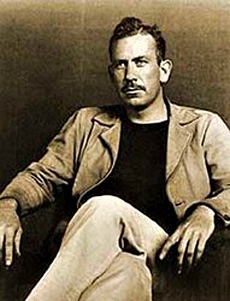 Especially when that Starbucks is located in Cannery Row, Monterey, where John Steinbeck is revered. In school, I hated the required reading. I think because it was required. I tend not to read while writing new material, but I've been steeped in a year and a half long rewrite/edits/plot hole closing venture. So absorbing other authors' voices is not too much of a worry. Plus, John Steinbeck's voice wouldn't be so bad to absorb, but then I'm not writing great American literary fiction. I'm not sure if it's Steinbeck's romanticism of Monterey or the fact that I've brought most of my girlfriends here, but this little vacation spot always brings solace for me. It definitely helped inspire me to read CANNERY ROW, which I'm enjoying. One of the characters is Henri the painter, who's been building a boat for seven years. 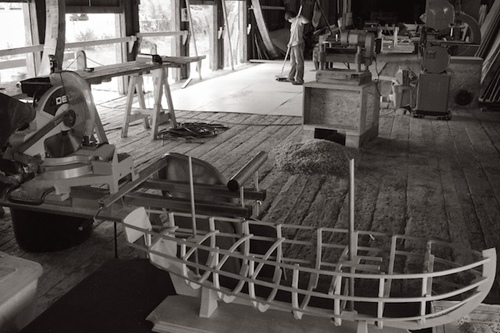 Hazel says that every time the painter is close to finishing the boat, he changes it, never ever having to finish it. Doc says the painter does this so he never has to sail, having a great fear of the water. This reminded me of a conversation at a recent holiday party where a university instructor asked me if I was still writing. Seven years, I responded. He smiled at me, a hint of elitism (me self projecting I'm sure), and advised that I need to get it out there. I explained that I have, gotten rejected by all of the agents I queried, and am in the midst of the second book in the series. Then he said something that I have a pet peeve about. I'd told him my book is about a father losing a child through a tragic accident, and how he must contend with his and his wife's issues about that loss. My scholarly friend knows I'm neither married or have kids and suggested I write about what I know, chuckling. Normally, people of "less" expertise and education never suggest I write what I know. With the advent of science fiction and fantasy, who would ever suggest that. 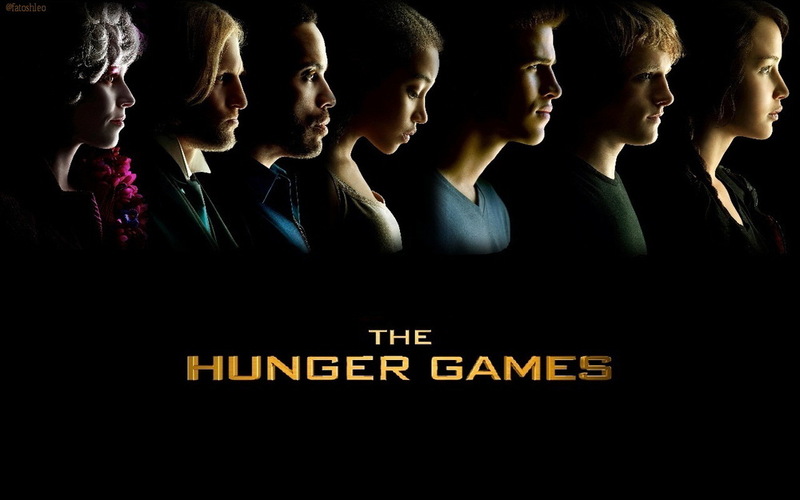 Would anyone tell Suzanne Collins she shouldn't write HUNGER GAMES because she doesn't really know anything about rebellions, fighting a war, or how the hunger games would be preposterous? What is under my shoe? Stories by humans are always about the human condition. And if you're human, then guess what? You know about the human condition. That doesn't mean that I wouldn't have more insight if I was married with children. But that shouldn't limit me either. Or maybe I couldn't write this story if I was married with children. May be too painful. Experts are defined as having comprehensive and authoritative knowledge in their field. So is this guy right? I mean, I've yet to be published. The creative process is really interesting. No matter the subject matter--industrial design, sculpting, software development, writing, robbing a bank, conspiring to overthrow--insights and the creative process always come from within. To take the words from new age fanatics, from the formless to the form. So if an author is given a story, like the image of Harry Potter in a Manchester train, as told by JK Rowling, then who's to say that she or any one of us shouldn't write it. Who's more of an expert on our stories? The expert not given the story to write? Or the individual who was given the story to write?